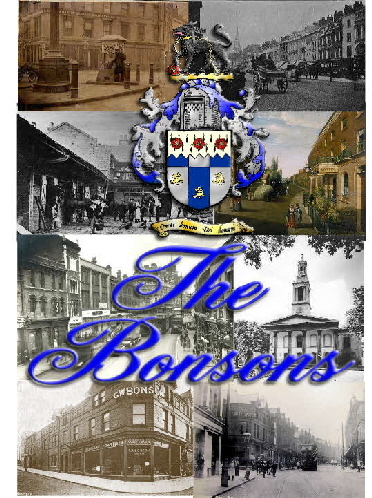 Above are scenes from places the Bonson’s have lived over the centuries including Hoxton and Shoreditch in London and Altrincham in Cheshire. There is also a copy of the ‘family crest’ - but don’t take it too seriously! It came from one of the many, “find your family crest” companies that there are and so it’s authenticity may be more than a bit doubtful - still, it adds a bit of colour! Without whom much of this information could not have been compiled.